Website builder services are a very good kind of solution for individual need of a personal website or for the owners of small businesses to start with a website, even without hiring a developer. Many people may think that designing a website is a job for professionals only, while it is not completely true though. For general purpose, websites can be made and taken live easily by anyone. To do that job of yourself you do not need to be a programmer or pro website builder. Any person with average computer expertise can do this easily. To do the job there are many tools also knowns as “Website Builders” are available on the internet. Now, the problem arises while you are looking for the best website builder. This search can be tricky for any newbies. There are loads of option for website builders are available out there. Now anyone may be confused about how to know which is the best solution for him and his purposes? Go through this article as we are going to help you to choose the best website builder for your purposes. We will be covering some of the best Website Builder options around the market along with the Pro and Cons of each. Before researching any further, the first thing you need to do is take a paper and pen and write down your requirements clearly. Points like What you want to do with the website, what extra or special features you want, Your Budget etc are very inevitable in the list. Different kind of features include the points like blog section, photo gallery, online store, reservation system, contact form, slider, etc. So, while planning thinks cold headedly and clearly so that at first you understand your own needs clearly. To make sure what your needs are checked other websites of the same type or website of your competitors for inspiration and all. After that comes the point of growth options. Here, are you going to add updates to your website on daily basis? is the question. Are you going to need a separate blog section – is also an important question? Considering future plans about expanding the market and target areas like increasing in no of items you sell in your website is also important. You have to become sure about your needs and the web-builder you considering is able to fulfil your needs, only after that, you should proceed. Now let’s talk about some of the best options for website building which you can consider without hiring a pro-developer. WordPress.org is the self-hosted version of WordPress, which is actually and no doubt the world’s most popular web-building platform. As per a study of 2017 almost over 29% of all the websites on the internet around the world are made and maintained by WordPress.org. There are only two versions of WordPress available, WordPress.org and WordPress.com. At this portion of the article, we will only be talking about the WordPress.org, while we will talk about WordPress.com in the later part of this article. 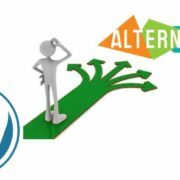 If you are confused then you can read some WordPress.org vs WordPress.com comparison articles over the internet. We are putting this version over the other version because of the huge popularity, powerful features on the interface, scalability and most importantly the ease of use. org is a completely free and open source website builder available for anyone disrespect of your OS platform. This web-builder makes sure that you have the maximum control and most of the features on your website easily and for free. Unlike most other web-builders, you will be needing a permanent WordPress hosting account to host your own website on the internet. Do not fear, this job is pretty easier than it sounds. 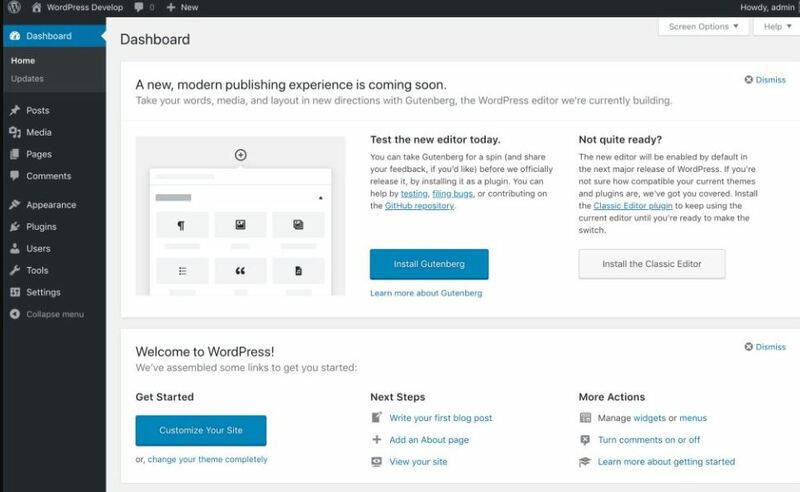 WordPress.org gives the user complete control over every aspect of the website. Using this tool, you can build any kind of website you can imagine. Most complex type website including an eCommerce enabled web-store, community forums, even a social networking site or a video streaming website or any kind of search engine and many more. While you are worried about looks of your website, go and check those thousands of pre-made WordPress themes from where you can choose any for free to be used as your website’s design. This application is so easy that it also has an amazing feature of drag and drop which you also find in some other tools like Beaver Builder, Divi etc. This will allow you to save your time and also easily create the page layout of your website. There are more than 50,000 free WordPress plugins available for the users. These plug-ins are actually like additional features which add additional functionality to your website according to your need. WordPress easily can be used to create multilingual websites as it has a translator feature which translates the website in many other languages than English. If you are willing to manage your own website by your own then you will need to quite familiarize yourself with a system as a whole. There is a slight learning curve due to loads of options and functions along with the application, so at the beginning, it can seem to little difficult to master but do not worry, you will come over the learning after a week of using the application. You have to keep your system up to date time to time for interface updates, plugins updates, backup purposes. The WordPress application software is available for completely free, there is no premium account or microtransaction there. But to create a website, you will need a buy a domain name according to your choice which may cost you around $2 to $10 (this is a one-time fee), depending upon various factor and availability. Also, you will need to rent space on the live server for web hosting (the server where you upload the website so that the website stays live all the time) which may cost you around $15/year to $100/year. You can even select half-yearly or even monthly package or long package like 2 years or 3 years package for web hosting. Wix.com is a very popular cloud-based (it is not a software application) Website Builder. It is very easy to use (much easier than WordPress), it comes with a very powerful and useful set of features which are very helpful to build a new website for most kind of needs. com is a completely pre-hosted platform by Wix itself, so the user will not have to pay any further hosting the website on a server. Wix gives the user access to hundreds of pre-designed templates, from which one can choose according to the desired website’s design. All the templates are fully editable with the help of the drag and drop function. com also offers dozens of free and also many paid apps which the user can add on the website. With these apps, the user can add many new features and functions to the website. Some of them are created by Wix itself and some third-party apps are also available. You can experience a free plan of Wix with limited bandwidth and storage option. A user can give it a test drive as their drag and drop website builder option is very good and easy. 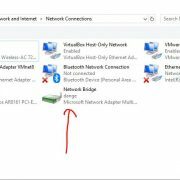 Though the free package does not include a registered domain name for the user, so after making the website if the user decides to keep it, then he might want to upgrade to the premium plan which includes complete hosting and domain name registration. With the all the paid plans Wix also offers limited time free SSL, which the user can turn on for his website according to need. The Free and Connect plans will keep showing Wix branded advertisements on the users’ website. Though the Combo and Unlimited plans are completely advertisement free. Moving a whole ready-made website from Wix to some other hosting service is quite complicated. Even with the paid plan in Connect Domain plan which will cost you around $9.5/month the users have to pay for the domain name separately. It offers a very free plan with very limited access. The connect plan costs around $9.5/month. The combo plan starts at the price of $15/month it also provides a free custom domain name. There is also an e-commerce plan which costs around $25-$30/month. Gator newly built by HostGator, and with a very short time, it has become one of the most popular web hosting provider and web-builder in the world. The Gator web-builder provides an all-in-one solution for website building & hosting. Gator is a fully hosted platform on its own, so no worry about the software updates, or saving backups and all. 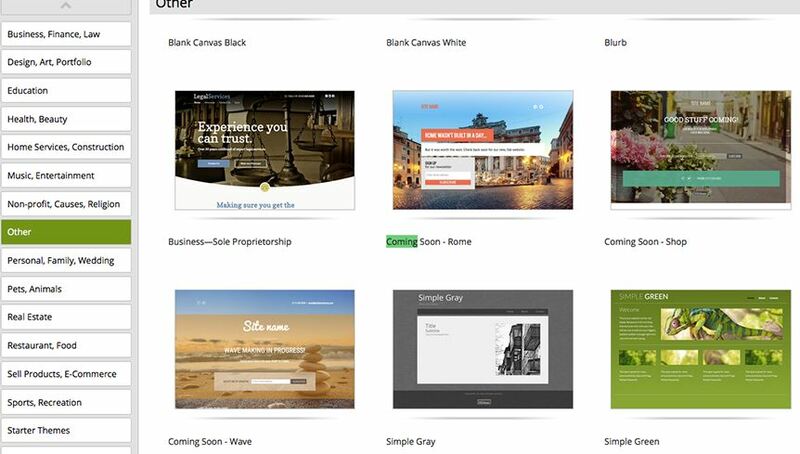 The intuitive website builder offers 200+ pro level website design templates. Each of the designs has simple customization options for themselves, any user can configure those from the web-builder interface easily. Gator gives the user a very simple point and clicks interface, using which the user can edit any item on the page. For some extent, the drag and drop function is also available in the interface. The common items like images, videos, photo gallery, text, maps all can be added by using drag and drop function. To configure the background or home page, you can access the built-in stock photo library which offers some really cool colours and beautiful pictures. All the paid plans from Gator offers free custom domain name for the website. In some of the paid plans, the eCommerce plan also comes as a bundle, with which the user can set up an online store and can deal on products online. A very important factor is that Gator doesn’t sell the user data or do not do any product promotion the users’ website. Gator doesn’t offer any free plan. They also do not provide any free trial. Some other web-builders in the list gives you so many functions and option that you can, hire a developer if you want to help you to modify your website design furthermore to add many new features to the website, while with Gator it is not an option at all, as you only can use the Gator provided options and functions. The basic paid plans start from $3.85/month, also you can opt for a $5.99/month package for premium offers, and if you are looking for a commercial plan then you have to pay $9.22. you can also opt for yearly plans which will come cheaper than the monthly plans. Gator is good for creating a website for relatively a small business or store with limited products. You can also add a photo gallery to make it more interactive. But, remember it is no match especially in case of freedom of creativity of WordPress. If you are looking for a much-elaborated option to make a more interactive website then go for WordPress. Weebly is another easy to use web-builder which offers tons of great built-in designs. The interface comes with a very nicely crafted page builder which allows the user to edit the website according to the user choice, without any learning curve any programming or coding skills. It is also a fully hosted platform by the Weebly itself, so there is a need for installing and configuring any software package for Weebly like WordPress. The host company takes care of the hosting process and all the software and micro functions which runs in the backend. So, if any facing any problem then directly contact the customer care. It offers many modern and retro looking website designs to be used as a starting point for anyone’s first website. Though the gorgeous designs come with various kind of editable features using the Weebly’s page editor interface. Weebly also offers built-in support for e-commerce like most of the other web-builders nowadays. This allows the user to start an online product dealing business at a very short time. Along with all other options, all the Weebly sites comes with built-in features like contact forms, photo galleries, sliders, and more by default. This built-in feature allows the user to easily add features to the website without any type of complex setup process or any kind of coding skills. Just like Gator you are limited to the options and features Weebly offers you. There is no benefit of hiring a developer to do some other modifications to the website. Unlike many others, Weebly has a policy of charging 3% commission on any transaction fees on all the purchases made through your website. Though you can avoid these by upgrading to the business plan. The free plan is very basic and actually of no serious use. The paid plans start from $8/month and can be billed annually. You can opt for the pro plan which costs $12/month, and the premium business plan costs $25/month. 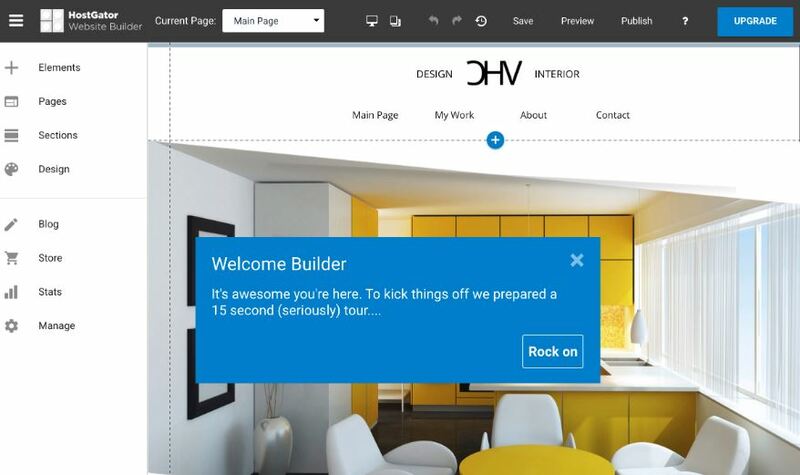 Here comes another popular and fully hosted web-builder. This is very well known for its great innovative page designs and easy to use interface. Squarespace gives you industry grade infrastructure for hosting website. The server security is secure and also comes with a robust platform which allows the user to focus on business not on the security, hosting or technical stuff. Squarespace has tons of website designs and page layouts which will impress any user. The designs are made to suit all types of contents. 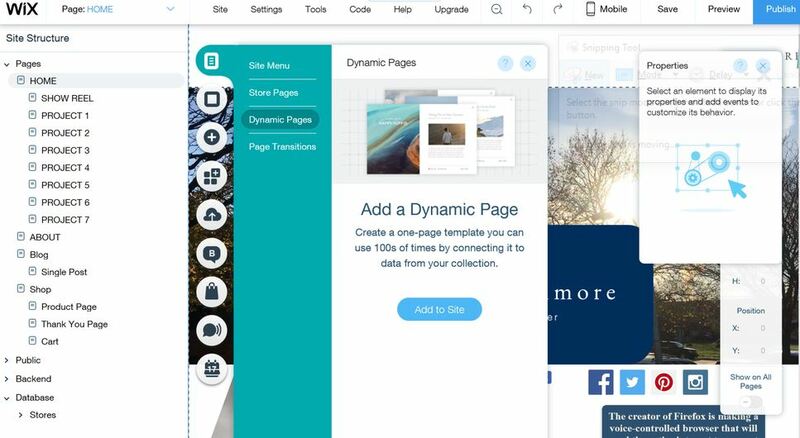 The given page layouts are fully editable, and the user of Squarespace even can use multiple templates for a single website at the same time. You can add any content to your website very easily. The point and type feature are available. The drag and drop feature is also available, in combination which let the user make the website designing complete within minutes. Using the e-commerce plan Squarespace offers the user can add an online store to the website. The product management admin panel interface is also very interactive and easy to use. Though Squarespace is a fully hosted service then also they offer a limited amount of integrations with third-party apps and services but letting only a limited amount of third-party apps integration it can become a hurdle in growing business needs. The e-commerce plans provided by Squarespace only allow Stripe, Apple Pay, and PayPal as payment methods. Adding additional payment gateways is not allowed. The starter plans start from $12/month and they also have another $18/month plan. Their eCommerce enabled plans to start from $26/month and the premium plan is for $40/month. Along with the beautiful page layouts, Squarespace is a very good web-building platform and also it is a perfect option for quickly building a website. GoDaddy is one of the largest names in domain name registration and hosting service business in the world. GoDaddy offers a very simple and elegant web-builder UI along with the domain name registration and web hosting included. GoDaddy is a very basic and easy to use Website Builder platform, it can be used to pro looking website without having pro-level knowledge. 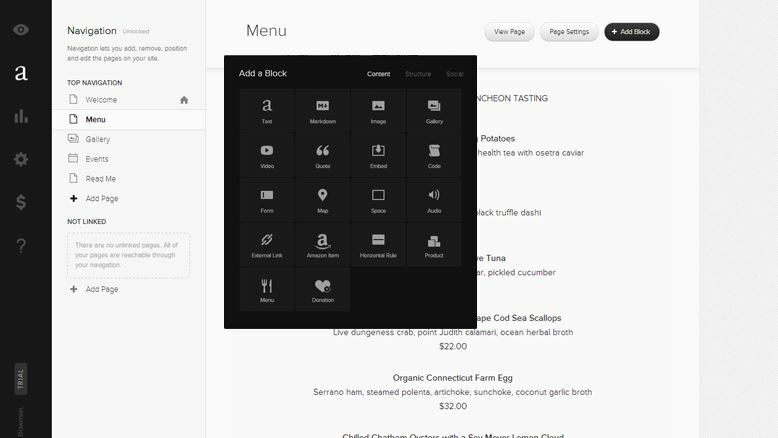 It comes with many pre-loaded with layout blocks which can be dragged and dropped to build custom layouts. It also comes with a photo library with lots of professional clicked images from which can be used to design the website. User-defined photos and galleries also can be uploaded. This web builder works perfectly on smaller screens too. You can create and use your website just by using a smartphone also. GoDaddy is a very simple platform for simple needs, it cannot be considered as feature rich at all. It comes with a very limited number of features with only a couple of page layout design options. The user will find it quite difficult to move the website from GoDaddy server to WordPress interface. The basic Personal plan costs around $6/month, while the business plan costs $10/month, and the premium or business-plus plan comes for $15/month. All the plans are normally billed annually. GoDaddy Website Builder only can be used for basic website design with a few pages and with very limited features. It is not a good choice at all if you are looking for building a content-rich or feature rich or interactive website. 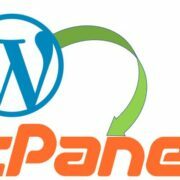 Unlike WordPress.org the WordPress.com is mainly a blog and website hosting service which is run by Automatic. The creator was Matt Mullenweg, who was also the co-founder of WordPress. It is an open source software. To define the difference more go and read some article on Google about WordPress.com vs WordPress.org. Nota that, WordPress.com is not same as WordPress.org which is self-hosted. WordPress.com is mainly a website hosting service. It is also built on the same WordPress software and same interface experience but it comes with totally custom-user experience. In this case, the users don’t need to worry about the updates and backups as WordPress.com takes care of it automatically. Unlike WordPress.org the free and paid plans have a different set of features here. The users can choose from hundreds of free and paid WordPress themes available in the library. The built-in customizer can be used by the user to add site title, adding widgets, adding navigation menus, using plug-ins and so on, and this way the user can build the customized webpage as per requirement. It doesn’t come with the drag and drop functionality like WordPress.org. Though the user can easily customize the inbuilt designs up to a certain extent. Custom plugins, third-party apps or custom themes cannot be applied without having the paid business plan. The Premium and the Basic plans do not provide the facility to have e-commerce features or third-party advertisement network supporting. Only with the Business plan, the user can use WooCommerce (an eCommerce facility) and many supported third-party advertisement networks as well as third-party app plug-ins. The Basic plan is free of cost and offers much more than other competitors while comparing the free versions. Though comparing to WordPress.org it is extremely limited. The personal plan is for $4-5/ month and billed annually which also comes with a custom domain. The Premium plan costs around $9/month which gives the user the facility to monetize the website (using third party advertisements) and also allows advanced user-defined design customization. The Business plan costs $25/month, and it is the most elite plans they offer. It gives the user the ability to enable E-commerce and install custom plugins. After tasting on many different web-builder platforms, I believe that WordPress.org beats all other in all the terms (performance, ease of use, flexibility). It is very good for any beginners. On another hand, many of the world’s top brands are using WordPress on their websites. So, it is not a tool for the novice at all. 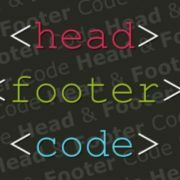 To do much more you also can take the help of some pro coder or can hire a professional. But if you are too much worried about the technical stuff, or really want a very simple website for very simple usage, or you want fewer options but more stability and better customer support then you should look for the options other than WordPress. One more thing to clarify that the prices been said here may be changed by the time you are reading this article, so check before you plan for it.